Dodger Stadium from our seats! 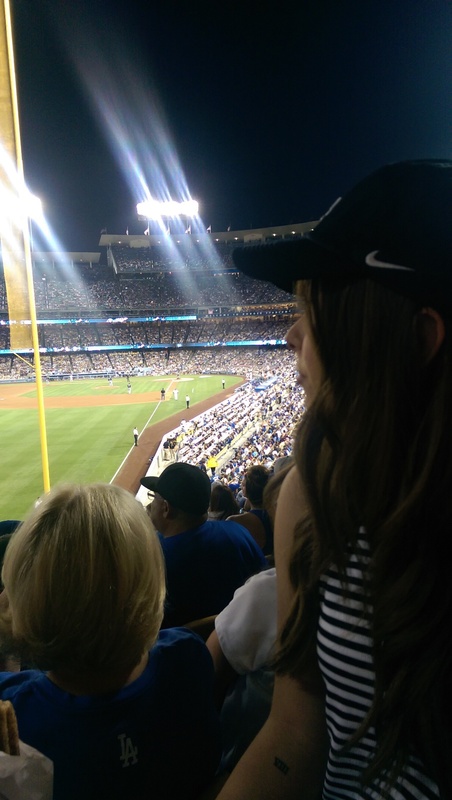 We decided last minute to go to the LA dodgers v. Atlanta braves game at Doger stadium. It was nuts. The stadium was packed, a sea of blue dodger fans. They won! the game went til 11pm. They sang 'take me out to the ball game', it was so cool, reminded me of Barney and signing along when I was little! Even better from the naked eye.